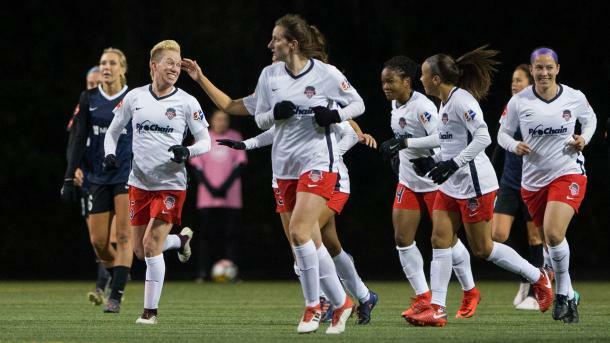 Utah Royals FC vs Washington Spirit Preview: Will Spirits defence give way to Utah's first win? Will the Royals be able to get their first win this weekend? Or will Washington’s defence come up big? Kickoff is set for 9PM EST. Fans can watch on NWSLSoccer.com or on Go90.com or on the Go90 app. 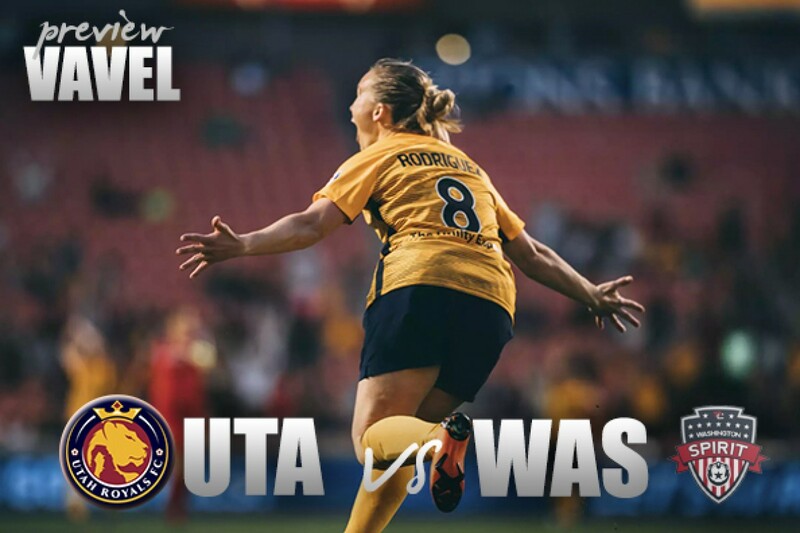 In their third ever home match, the Utah Royals will be looking to get their first win ever in franchise history in week six when the Washington Spirit come to visit at the Rio Tinto Stadium. Will the Royals be able to get their first win this weekend? Or will Washington’s defense come up big? Kickoff is set for 9 PM EST. The offseason was eventful, to say the least for the Spirit. After a series of trades and drafts, the Spirit have started to rebuild their team. They brought in USWNT stars in Ashley Hatch and Andi Sullivan. Taylor Smith also came in a trade from the North Carolina Courage. Despite only being in week 6 of the 2018 NWSL season, the Spirit is already doing better than last season which saw them end up last on the table. During the first five matches, the Spirit has found the back of the net seven times with goals from Mallory Pugh, Ashley Hatch, Joanna Lohman and Francisca Ordega. The Spirit are only just getting started and the question now is if they find the back of the net on Saturday night, who will be the goalscorer? On the first of December, a new franchise was launched. The Utah Royals are making their mark on the league in their inaugural season. They brought in USWNT veterans and defenders in Becky Sauerbrunn and Kelley O’Hara, as well as Scottish international Rachel Corsie. 15 of the players on the roster come from the now folded FC Kansas City team. Also on the roster is Australian international Katrina Gorry, Elise Thorsnes, Gunny Jonsdottir. During the first five games of the season have scored four goals, and have four draws and one loss during those five games. The four goals come from Jonsdottir, Katie Stengel, Brittany Ratcliffe and Amy Rodriguez. Utah Royals are currently fourth in goals against with five. During the match, we’re going to see a strong Utah defense lead by Sauerbrunn, Corsie, Moros and O’Hara. Though they have only played together since preseason, some of the players have experience playing along with each other. The offence is led by Rodriguez, Jonsdottir and Thorsnes. On the Spirit side, the defense is anchored by captain Estelle Johnson, who is alongside Whitney Church, Caprice Dydasco, Smith and goalkeeper Aubrey Bledsoe. On the strong front line is Pugh, Ordega and Hatch. Becky Sauerbrunn: Sauerbrunn is easily one of the best, if not the best center backs in the world. Sauerbrunn brings experience and composure to the new back line of the Royals. Gunny Jonsdottir: When the Royals added Icelandic player Jonsdottir to their roster, fans didn't know what to expect. Now, she has scored the Royals first goal as a team during the match on March 24th. She sits in the midfield alongside Canadian Desiree Scott. Aubrey Bledsoe: Ever since Bledsoe got traded, she has earned the starting spot for the Spirit as well as back to back Save of the Weeks for her amazing saves. She's in the middle of a breakout season and will be a key player if the Spirit are to win on Saturday Night. Estelle Johnson: Simply an underrated player is Johnson. She has anchored the defensive line of the Spirit since the 2015 season. Now, captain of the Spirit, she is seen making saves and creating attacks, which one could lead to a Spirit goal, Saturday night.